What Amateur Radio License Class Do I Need? How Do I Find a Ham Radio License Exam? What Radio Equipment Do I Need? Is It OK To Use Ham Radio for Rallies? The Northeast Rally Radio Club is an amateur radio club specifically dedicated to rally communications in northeastern North America. We’re a niche group of the ham radio community, but by banding together as the rally community as a whole does, we can improve the quality of communications at events we support. We support all stage rally and rallysprint events and are not affiliated with any particular sanctioning body. The club will help arrange classes and acquire equipment for use at rallies, up to and including portable repeaters to help cover difficult terrain. Our club callsign is W1RLY. Anyone who is interested in the unique application of amateur radio to stage rally and RallySprint is welcome. An amateur radio license is NOT required to join. Feel free to check out and join our Facebook group as well. The purpose of this web site is to post and preserve the collective wisdom of the group regarding amateur radio communications at rally events. It’s difficult to find information in a Facebook group so the best tips and tricks about ham radio, rally, and how they work together will appear here. Though our group is based in the northeast United States, we hope that radio and rally enthusiasts everywhere can make use of this information as well. Here’s another variation on a portable mast that uses a different key ingredient. Instead of fiberglass pole sections, this one uses a telescoping painters pole for the mast. They are available in sizes that range from 4 to 8 feet, 6 to 12 feet, and 8 to 16 feet. This is the 6 to 12 foot version. 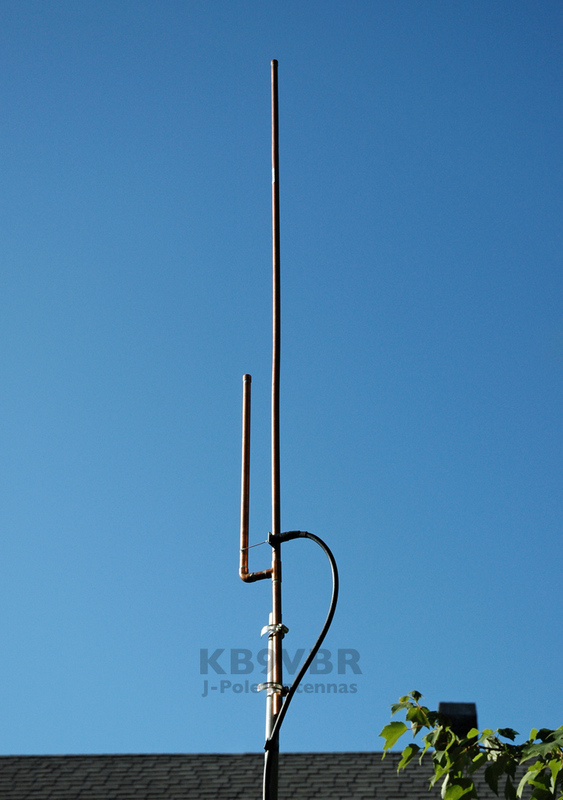 The antenna is the KB9VBR breakaway J-pole for 2 meters. When split into two parts it fits perfectly into the trunk of Justin’s Subaru WRX. In fact, the only part of this setup that doesn’t completely fit in the trunk is the painter’s pole itself, which does fit with half the back seat folded down. Up top, two more hose clamps attach the J-pole to the telescoping section. You might want to attach the antenna before putting up the mast, especially if you’re short since you might not be able to reach it afterward. (And don’t forget the coax!) Extend the telescoping portion, and the antenna will sit far above cars and people on the ground. This not only transmits and receives better than a mobile antenna, it also significantly reduces RF exposure to people on the ground. Justin first tested this setup at the 2018 Team O’Neil Winter RallySprint. It worked perfectly, even in moderate winds at the north end of the facility. Where he normally ran 45 watts through his mobile antenna, he could crank the power all the way down to 5 watts and still be heard perfectly at the south end. The reception was improved as well, particularly from mid-point handheld radios. Best of all, this mast system cost less than $50 to build, most of which was for the telescoping painter’s pole itself. Even if you buy a KB9VBR J-pole antenna rather than build one yourself the entire setup can cost well under $100. Though not as critical at a small facility like Team O’Neil, the performance advantage could be a huge help at other rallies. The Technician Question Pool Is Changing! If you’ve been studying for your Technician license, make sure you take your test by June 30, 2018. Why? Because a new question pool just came out that will be used from July 1 through 2022. From time to time the question pool gets updated to reflect changes in rules and regs or new communication modes. The National Conference of Volunteer Examiner Coordinators has just released the new Element 2 question pool into the public domain. This means that publishers and developers have time to incorporate the new question pool into books, websites, apps, and other training materials before the change takes effect July 1. That way, you can study for whichever version of the question pool will be in effect at the time you take your exam. Realistically, question pools don’t change much over time. It’s likely you could pass a test with the new question pool if you only studied the old one. So don’t stress out over this — you won’t have to start from scratch if you fail the Tech exam in June and have to take it again in July. It’s just something worth knowing about so that the questions on the exam will look as familiar as possible to you. It’s a pretty fundamental aspect of radio operation that you shouldn’t push the “transmit” button unless you actually intend to transmit. 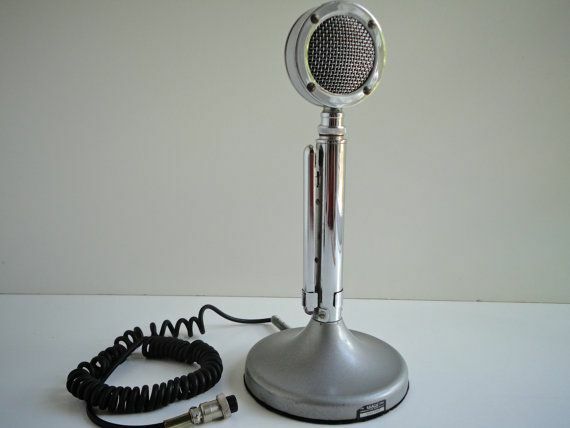 But you’d be surprised how often someone “sits on the microphone” on the net frequency! The resulting open carrier ties up the net, preventing any communication from taking place. Even coordinating a change to a secondary net frequency becomes impossible. Of course we all know enough not to jam the net on purpose. But accidents happen. The microphone may get stuck under a clipboard, or wedged between a seat and another part of the car, in such a way to push the transmit button. So when you put down your mic, be extra careful about where you put it. Don’t be “that guy (or gal)”! This is where the magic happens. The net, short for “network,” is a designated frequency on which rally communications take place. This could either be through a local or temporary repeater, or a simplex (direct) frequency. Usually, there are multiple designated frequencies. For example, there may be a primary frequency where communications take place by default, and a secondary frequency to switch to in case there is a problem such as interference on the primary frequency. Frequencies may be assigned for different purposes, too — for instance, a dedicated frequency for rally officials to talk amongst themselves without tying up the main net frequency. In some cases, different frequencies are used for different geographical areas if the rally spans too much territory for one frequency or repeater to cover. The Empire State Performance Rally has “north” and “south” repeaters to cover all of its stages. The New England Forest Rally is so spread out that each stage has its own frequency, operating independently of other stages. Yet the Black River Stages net handles the entire rally on one net frequency, as do smaller RallySprint events. Specific procedures vary from one event to another. A net control station, who is generally located at rally headquarters with event officials, manages all communications on the net. All communications typically go through net control. If the start of stage 3 wants to ask the finish of stage 3 a question, the start of 3 would first call net control and ask for permission to talk with finish of 3. Net control would then either grant permission or ask start of 3 to wait if something more important needed to be discussed at that time. Smaller rallies or RallySprint events are often less formal than larger events. Each event has its own unique way of running their net. Even at the same event, different net control stations have different preferences for how the net runs. But generally, their procedures are at least somewhat similar to what is described here. Before a stage runs, a great deal of logistical communication takes place on the net. As stage crews get into position and prepare to run the stage they keep net control up to date on their readiness. Course opening cars report their own progress through the rally to net control, as well as any issues they need stage crews to take care of before the stage goes hot with competitors. Radio operators stationed elsewhere on stage write down each car number that starts, as well as its sequence number if applicable. As each car goes by their location, they check off that the car has passed. When cars finish the stage, the finish radio announces it to the net in a similar manner as start. The end result is that when competitors finish running, we know what cars didn’t finish the stage. We also know approximately where they are based on the location of last radio operator to have seen them and the next one who didn’t. This way, the sweep team has a better idea what to expect when they enter the stage. This is the most important purpose of the net: to keep track of competitors, make sure they’re safe, and send help if necessary. This is rally, so things don’t always go as planned. If (when) a competitor crashes and can’t continue under their own power, the net needs to know. This information could come from a radio operator stationed nearby. It could also come from another competitor reporting in at the finish. It is important to know that the competitors are displaying the “OK” sign, and whether their car is blocking the road or not. If the road is partially blocked, competitors waiting to start will need to be informed of this and the car’s location so that they can avoid it. Other problems could involve spectators putting themselves into unsafe locations on stage, or getting too rowdy and disruptive at a spectator area. The course opening cars check for this before declaring the stage ready to run, but things can always change afterward. People may try to move up and down the road in between cars, either on foot, by ATV, or even in their own cars while the stage is hot. Local residents or property owners along the closed road can sometimes cause trouble for a stage. They may not obey rally volunteers’ instructions to stop or recognize the legal authority the rally has to close the road. If the situation gets too heated, the stage may have to be stopped or canceled altogether. Basically, any situation that’s out of the ordinary needs to be reported to net control. Use common sense and do your best to help at the scene, but ultimately it’s net control that will make the call about how to handle the situation, relaying instructions from rally officials and sending additional help as necessary. A car crashing or going off the road and displaying the “OK” sign is not an emergency. If no one is hurt and cars can still get by, the stage will continue to run. But a red cross sign, injuries, or a fire is absolutely an emergency, and we pull out all the stops to assist. Emergencies always have priority on frequency. Routine logistic communications can wait. Do not transmit unless you are helping to handle the emergency. That said, if you are able to report or help with the emergency, by all means, get on the net. That goes for competitors as well, who are often the first on the scene. Many competitors have ham radios and net frequencies. Mainly they just monitor the net to know what is going on, but in an emergency callsigns you may not recognize from the net roster may break into the net to report it. This is not only acceptable but encouraged, and one reason why competitors have the net frequencies. Though we strongly encourage only licensed amateur radio operators to transmit as per FCC rules, in a dire emergency involving an immediate threat to life (but not property), anything goes. Net control will help coordinate the response of whatever help is needed, such as sending the ambulance stationed at stage start to the scene. During an emergency, ALL stations should listen closely in case net control needs information or resources that you might have. Even if you are working a completely different stage than the emergency is taking place on, net control may still call you — for instance, to request a second ambulance be sent from your stage to the emergency. But unless you are directly involved with the emergency itself, don’t speak unless spoken to by net control. That’s the basics. Specifics vary from one event to another, but this is essentially how every rally communications net runs. Now you know what that radio chatter at a rally is all about! You’ve studied hard, using any number of methods available. You’re scoring well on the practice tests, so it’s time to take the license exam for real. But how, and where? If walk-ins are allowed you can just show up, but it’s always appreciated if you pre-register. The $15 exam fee is collected at the exam itself, so you can always cancel at no charge if you have to. Bring the exam fee and photo ID, show up at the proper time and place, and take the exam. The Volunteer Examiners will walk you through the paperwork and the entire process. A 2-meter mobile radio and magnetic mount antenna are adequate for rally use, but can still be tricky to use on remote stages. You may have to park your car very carefully to place your antenna in a hot spot for reception. Changing conditions can move that hot spot, which is quite inconvenient when it happens while a stage is running! Fortunately, it’s cheap and easy to set up a larger antenna on a portable mast. While not quite as convenient as parking and going straight on the air, a little height can go a long way toward improving communications reliability, particularly on remote stages. This mast uses military surplus fiberglass poles originally intended for camouflage netting. These are available on MilitaryFieldGear.com for $41.99 for a 12-pack. Use as many or few four-foot sections as you need to place your antenna as high as you want it, up to 48 feet. Keep in mind that you will probably need to add guy wires to the mast above a certain height, but even 20 feet of elevation will be 20 feet more than you had before. Aluminum poles are also available but are not recommended. Not only could they affect antenna radiation patterns, they also present an electrocution risk if any wires happen to be around! There are any number of solutions for securing the base of your antenna. One is a tripod mount like this. Use three of your fiberglass poles as legs, then slide another for your mast through the center. The mast will then support itself. If you have a 2-inch receiver hitch, you could consider this hitch mount. The vehicle becomes the support for the mast, which is less likely to blow over in the wind than a self-supporting structure. You can also make your own base using a piece of plywood, a 2-inch pipe flange, and a section of threaded pipe. The idea is that you park your car with one tire on top of the plywood and the flange sticking out to the side. Screw in the pipe, then slide the bottom section of mast inside the pipe. Again, the vehicle becomes the support for the mast. Of course, you’ll need an antenna for the top of your mast. J-poles are very popular and effective choices. The bottom section, below the J, is not a part of the antenna as far as radio waves are concerned so you can clamp this directly to the top section of your mast. They don’t require a groundplane, so no radials are necessary (though improved performance is possible with a ground rod and wire). A J-pole antenna for the 2-meter band is 69 inches long, which can fit in the back of a truck or SUV. A breakaway version is also possible, where the main element splits in two for easier transport. J-poles are easy to build yourself. Though TV twin-lead isn’t anywhere as near as common as it used to be, you can easily build a J-pole out of it. If you’re not so mechanically inclined, KB9VBR sells pre-built J-poles for very reasonable prices. His standard 2-meter J-pole is $34, with a breakaway version selling for $39. A variation on the J-pole that KB9VBR offers is the Slim-Jim. This design turns the main element of a J-pole back on itself, making it a folded dipole instead. This design has more gain and a lower radiation angle than a standard J-Pole, and is only 58 inches long. One disadvantage is that it works best at higher elevations above the ground, which may not always be possible. KB9VBR sells Slim-Jims in standard form for $45 and breakaway form for $54. This may go without saying, but for the sake of completeness, don’t forget to bring enough coax to run between your hoisted antenna and your radio! You’ll want RG-58, with a PL-259 connector on one end to plug into your radio and whatever the antenna uses on the other end. if you use an SO-239 connector on the antenna you can use PL-259 on both ends of the coax to make life easier. You certainly don’t need a mast to work rally communications. But it can help, and as you can see it isn’t too difficult or expensive to put the components for one together. This system is fast and easy to set up and take down, which is especially handy if your stage crew works more than one location in a day. It’s also quite flexible, allowing you to change the height of your antenna by adding or removing mast sections. Not only will your signal get out better from an antenna on a mast, you’ll also have an easier time hearing everyone else. A little height goes a long way. For rally communications, you will need a Technician class license. This involves taking a 35-question multiple choice test on a variety of subjects — FCC rules and regs, simple electronics, basic theory on how radio waves work and propagate through the atmosphere, etc. There is a standard question pool, and the questions and answers are public. A passing grade is 74%, so you don’t have to be an expert on the material to pass. And unlike the old days, you do NOT need to know Morse code for any modern ham radio license class. There are many ways to learn the material, depending on what works best for you. The classic method is to read a book, such as The ARRL Ham Radio License Manual. Another popular book is The Gordon West Technician Manual. Other options include HamRadioSchool.com’s Technician License Study Guide and The No-Nonsense Technician-Class Study Guide, which is also available as a free PDF file. If online methods appeal to you more, you can take free practice tests using the same question pool as the actual license test until you know the questions and answers. Many web sites offer them, including the ARRL, eHam.net, and HamExam.org. Some sites, such as HamTestOnline.com, will help teach you the material at the same time as drilling you on it, which some find more helpful than just taking practice tests over and over. For some, there’s just no substitute for a classroom setting. You can look up available license classes in your area on the ARRL web site. Some classes run one evening a week for several weeks. Others run over a single weekend or even a single day. However you learn the material, you will need to take an official license exam in person. These are usually included at the end of license classes. There are also groups of volunteer examiners who hold exam sessions regularly across the country. Once again, the ARRL web site can help you find an exam session near you. You will need to bring identification, and $15.00 cash, check, or money order for the cost of the exam. You will also need to provide your Social Security number, or your FCC issued Federal Registration Number if you already have one. (You probably don’t, unless you already hold a different type of FCC license.) You are allowed to bring a calculator with no formulas in memory, but you probably won’t need this for the Technician license test. If you passed, congratulations! You now have the option of taking the General license test at no extra charge. You are welcome to do so, or not, as you wish. The Technician license grants you access to all of the frequencies you need for rally communications, but having access to more frequencies never hurts. If you pass the General test you can take the Extra, again at no extra charge. Though it’s rare for people to go from zero to Extra in one session, it does happen! After passing, the examiners will do some paperwork. You will get a Certificate of Successful Completion of Element 2, which is the Technician written test, signed by three of your examiners. They will also submit your information to the FCC to have them issue you a license. Typically your callsign will appear in the FCC database within a week or so. As soon as your callsign is assigned, you are officially a ham radio operator and may go on the air immediately. Once your license is issued, you simply need to keep your current address up to date in the FCC database if you move and renew it for free every ten years. You never need to take the test again unless you let your license expire for more than two years. To use amateur radio, you must be licensed by the FCC. (How to get this license is a subject for another post.) There are three license classes: Technician, General, and Extra. The entry-level license, Technician, grants you all amateur radio privileges above 50 MHz. Since rally communications take place on the 144 MHz band, this is the only license you need for rally communications. Since stage rallies usually take place in remote areas, at the minimum you will need a mobile radio for the 2 meter (144-148 MHz) band, as well as an antenna for your car. Just about all rally communications take place on 2 meters, so a single band radio is all you need. You can find these available used at hamfests or online for less than $100, though a new radio like a Kenwood TM-281A or Yaesu FTM-3100R cost not much more than that. As for an antenna, a 5/8 wave for the 2 meter band with a magnetic mount will work fine. In hilly areas, the higher radiation angle of a 1/4 wave antenna may work better in some cases. There are many other ways to mount an antenna to your car permanently, if you wish — trunk lip mount, rain gutter mount (do any cars even have gutters anymore?) or even directly to your roof or trunk lid if you’re bold enough to drill a hole through it. But a magnetic mount will work fine, and can easily be transferred from car to car. For better performance, you could consider using a larger antenna, such as a J-pole, on a mast that you set up temporarily wherever you are stationed. This will be the subject of a future post. A RallySprint is similar to a rally-type stage but with a relatively short stage length and lower speeds than typically encountered in stage rally. RallySprint events are run on sections of dirt, gravel or snow-covered roads or trails that are closed to the public. The course is primarily delineated by the roadway, with upright and pointer cones placed at key locations for way-finding and hazard-warning purposes. RallySprint events are typically run on off-road/rally school sites and short sections of dirt/gravel roads.